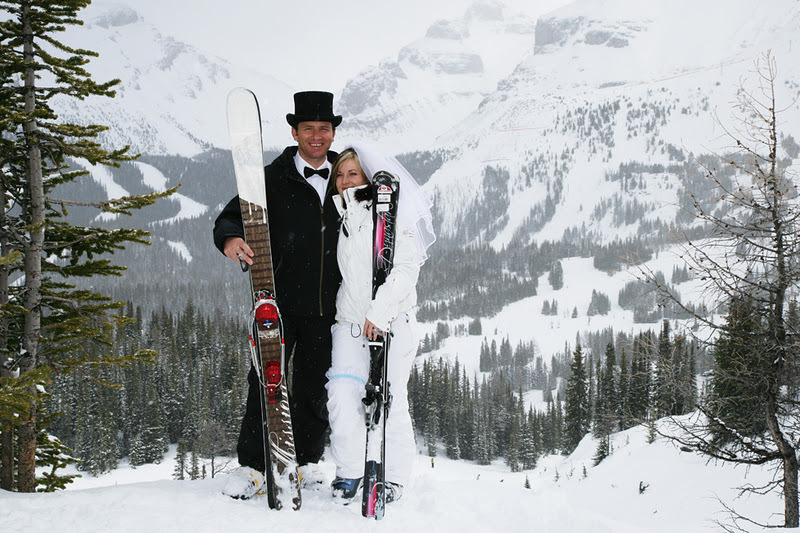 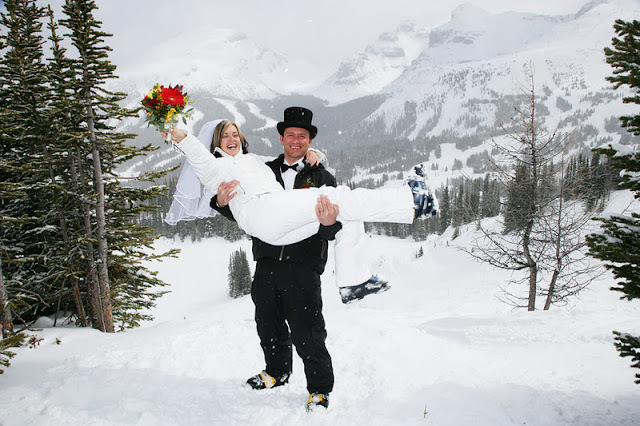 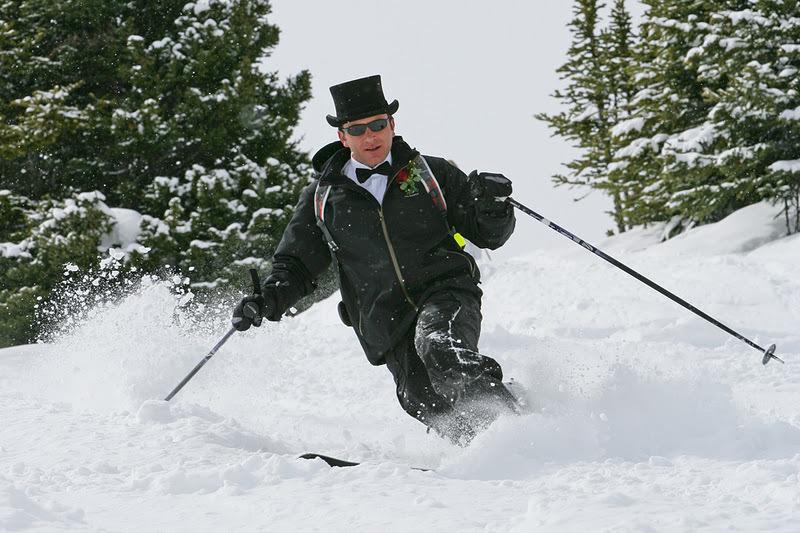 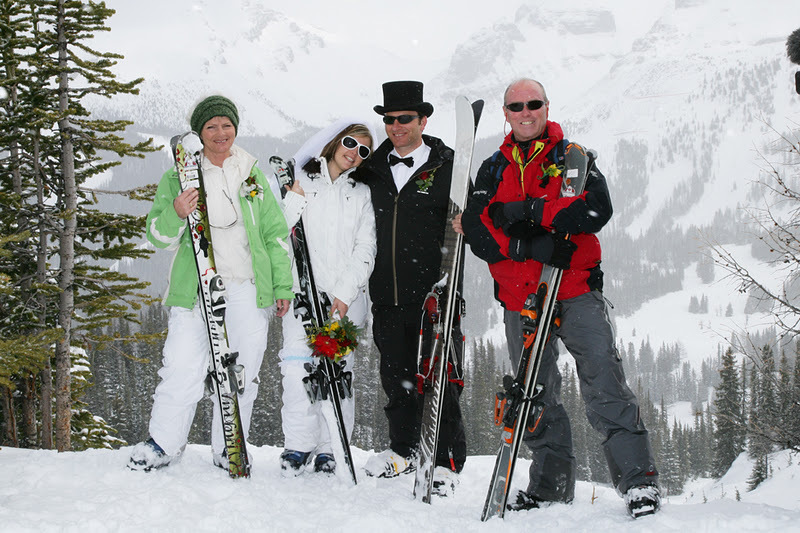 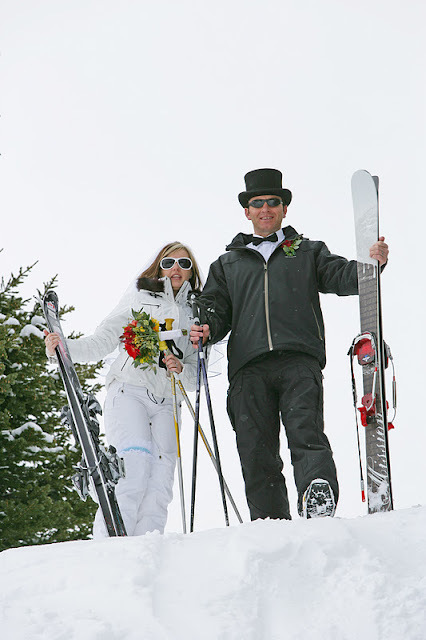 we wanted to share with you and feature a Ski Hill Wedding we shot in 2009. 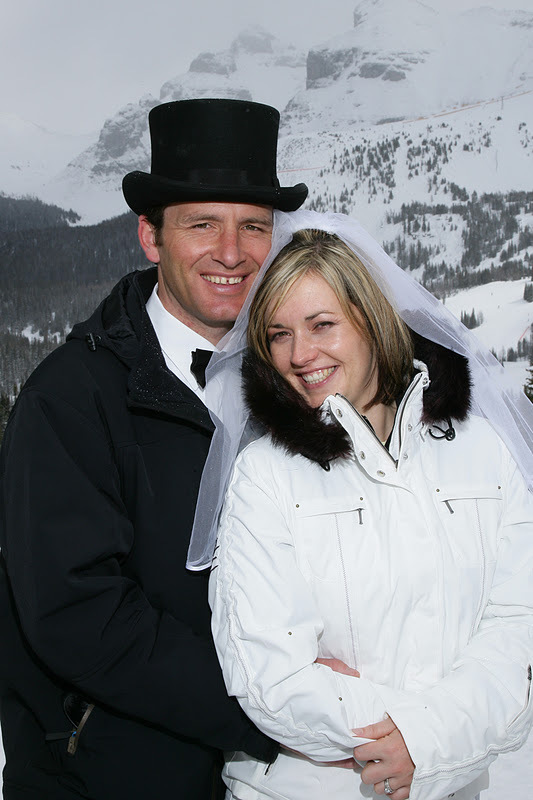 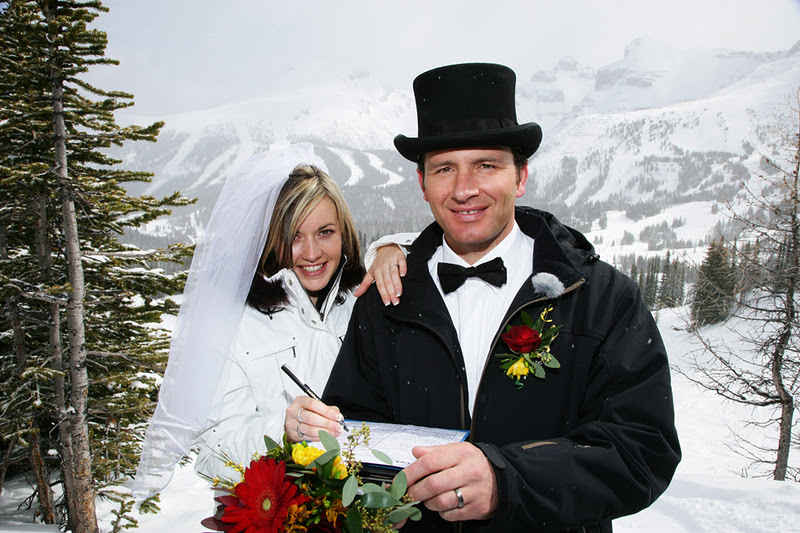 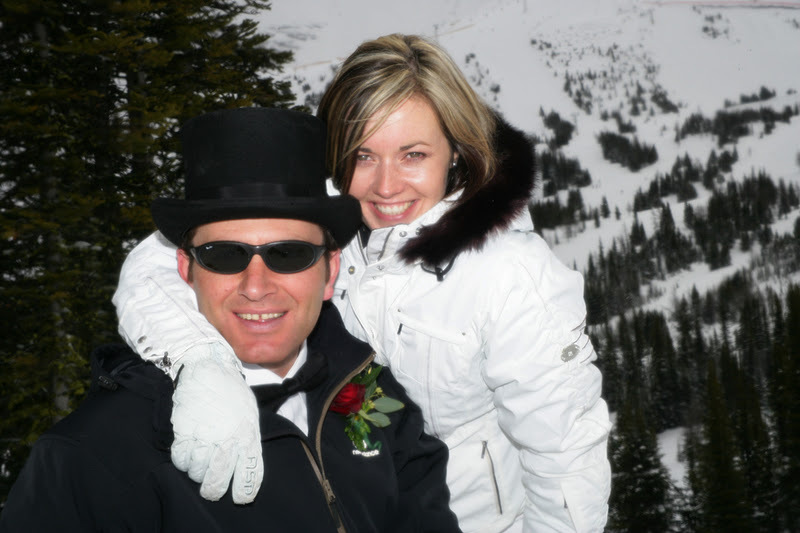 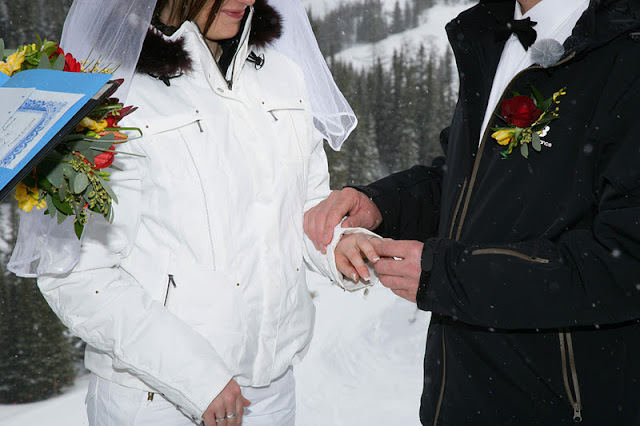 Natalie & David chose to be married outside on the mountain at Sunshine Village. 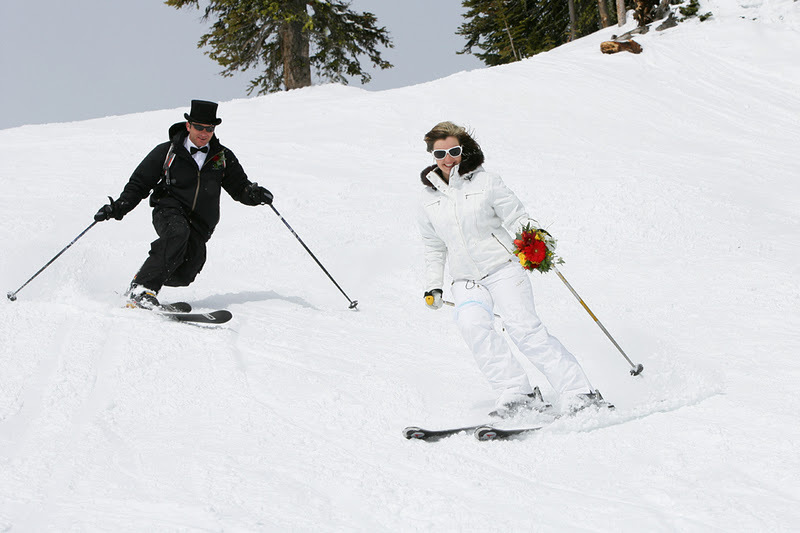 The Bride & Groom in action! 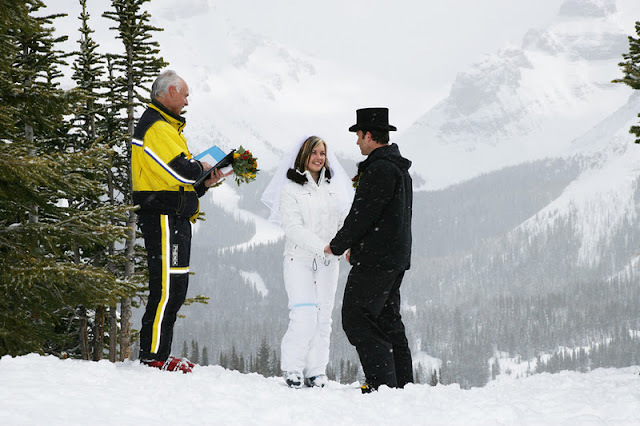 On the wedding day, we meet at the base of the Ski Hill before traveling to a beautiful scenic location. 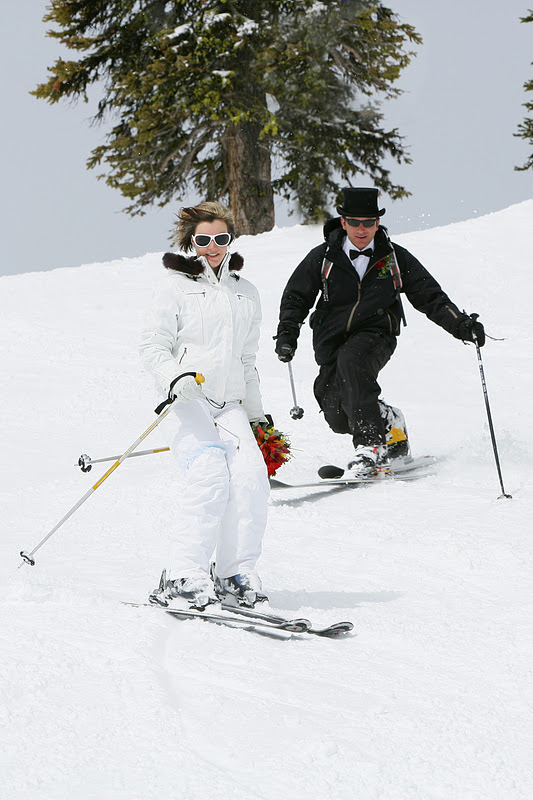 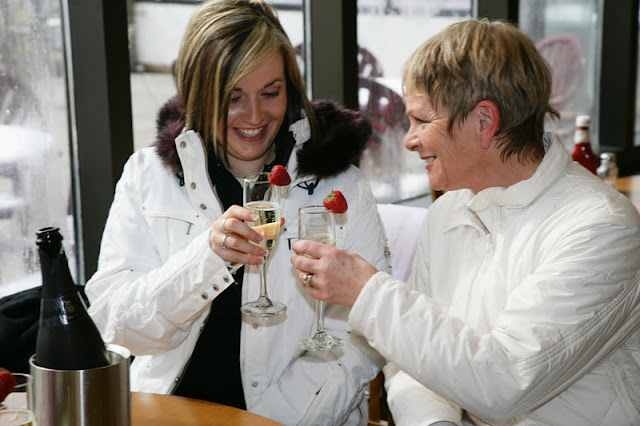 The ladies are warming up and having fun, before they take the chair lift to the ceremony. 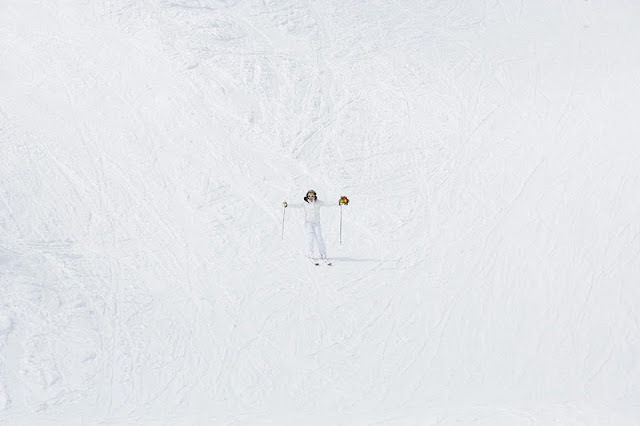 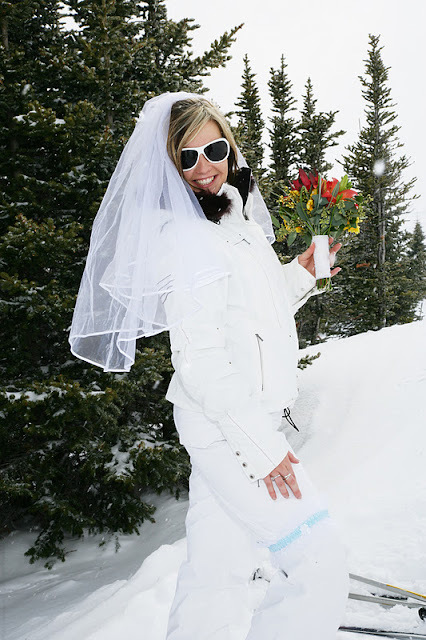 Natalie looked amazing in her white ski suit, veil and vibrant bouquet of flowers. 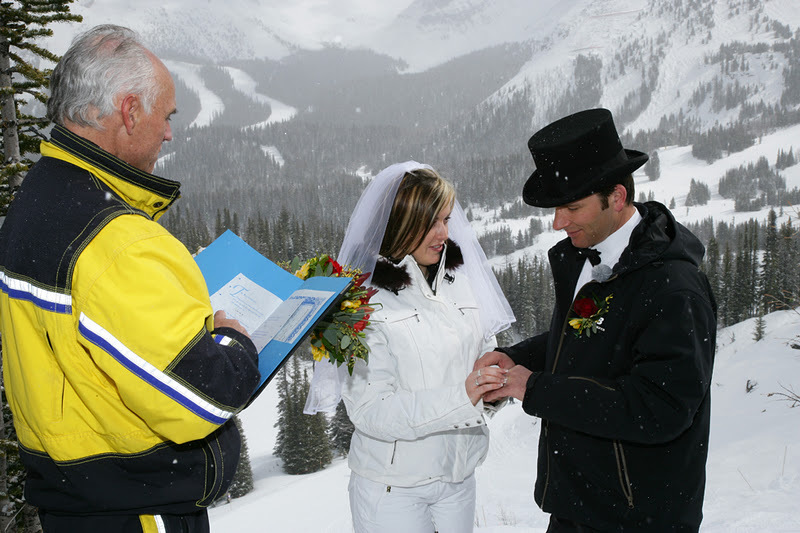 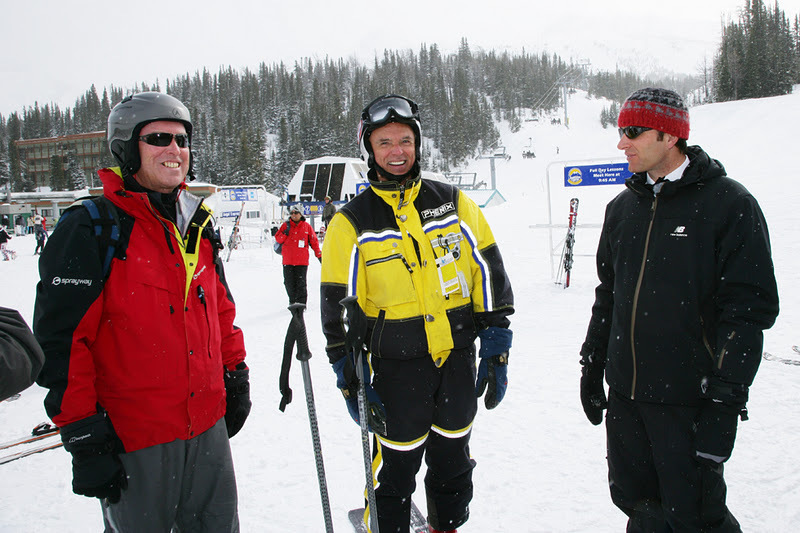 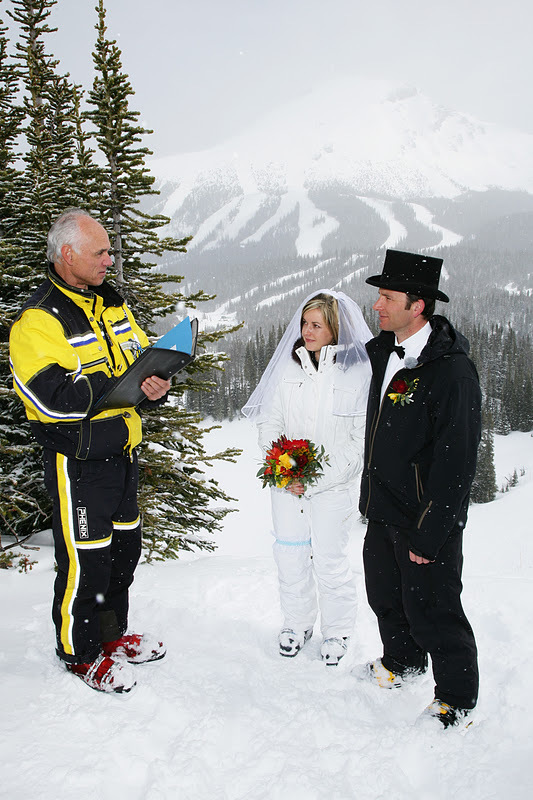 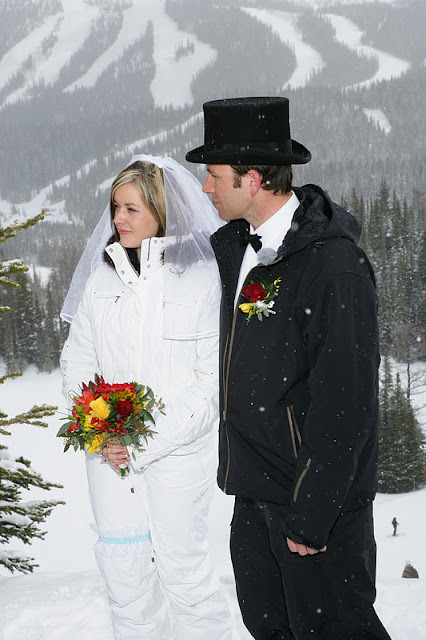 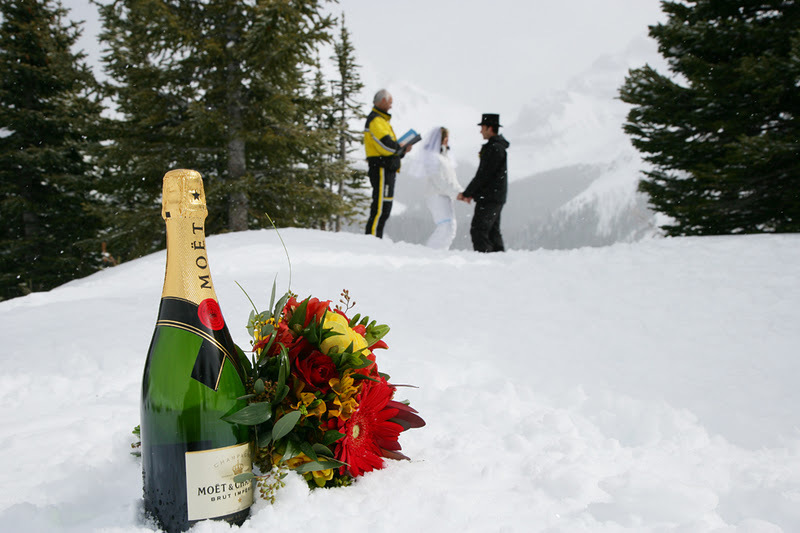 Local Marriage Commissioner Rob White performed the ski hill ceremony. Happy Anniversary to Natalie & David! 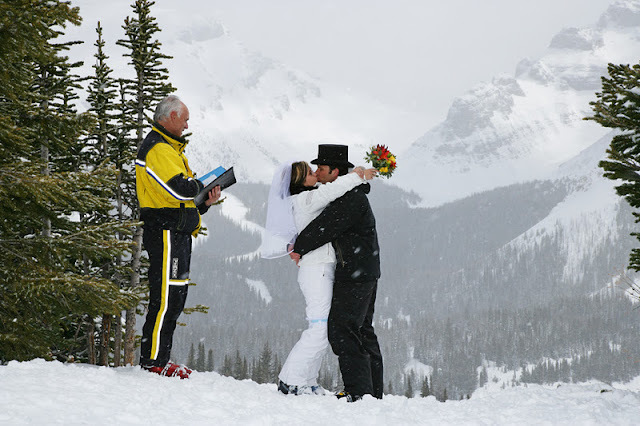 This wedding was also featured in the Daily Mail Newspaper - UK.